The Supply Chain Supervisor is responsible for overseeing and supervising the supply chain staff that directly support material flows to and from the warehouse facility. They manage the materials within the Supply Chain scope to support Mining operations on site as well as Maintenance and Electrical workshops and various projects/tasks as needed. Additionally, they oversee the shipment receiving activities onsite and liaise with Logistics on the delivery schedules. • Complies with all HS&E policies, procedures and instructions. This includes the correct use of safety devices and protective equipment, prompt reporting of any hazardous situations, which they cannot themselves correct, making the necessary changes to eliminate or control the hazard and reporting immediately any accident or injury which arises in the course of their work. • Complies with relevant Mines Safety Acts and Regulations. Co-Lead weekly cycle counting practices o Maintain relationships with foreman in Mining, Maintenance and Electrical workshops, supervisors, and Project managers as it relates to Supply Chain Operations. Perform quarterly warehouse audits (external and internal as directed) o Coordinate special projects within Supply Chain Scope as needed. Oversee Purchasing activities as a backup for Supply Coordinator. • Manage/Maintain stock within the Supply Chain scope. Keep an accurate record of all items in the warehouse. Monitor physical stock levels and recommend changes to the stock reorder points as needed. • Must be able lift up to 18 kg. • Must be able to work outside in various weather conditions, including rain, heat, and etc. Highly organised and able to work efficiently with limited supervision. • Must be able to work a 12 hours per day sitting or on his/her feet for extended periods of time. This position is responsible for loading, hauling and dumping both ore and waste material from loading areas to designated areas underground or on the surface in an efficient manner as guided by your immediate supervisor and trainer. Complies with all HS&E policies, procedures and instructions. This includes the correct use of safety devices and protective equipment, prompt reporting of any hazardous situations, which they cannot themselves correct, making the necessary changes to eliminate or control the hazard and reporting immediately any accident or injury which arises in the course of their work. • Complies with all company policies and procedures that are displayed and amended from time to time. • Takes reasonable care for their own safety and that of other persons who may be affected by their acts. • Performs pre-start checks and SWICs. • Ensuring inspections and maintenance is carried out on all equipment before use. • Must Work to minimize equipment downtime and maximize productivity. • Maintains a high standard of housekeeping. • Follows instructions from loader operator to accept 'dirt. Fully loaded and balanced trucks. • Follow geologist ore destination instructions, not mixing ore, low grade, marginal and waste. • Load. haul and dump ore I waste material from development and production sources from loading areas in the underground mine to assigned areas on the surface to stockpiles. • Load, haul and dump waste material to underground areas for backfilling and structural purposes. • Monitor the areas being worked in and water down or scale as necessary. 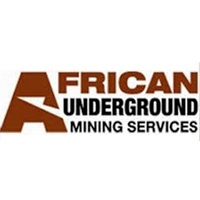 AUMS is a global leader in providing the full suite of underground mining contract services to the African Mining Industry. We are looking for a highly motivated individual to join us at the Star & Comet/Nyankanga underground Mines at Geita in the role of Storeperson. To be responsible for the maintenance of an efficient, safe and secure warehouse facility. To also ensure a high level of material availability, and consumer satisfaction is maintained.